K’Bro app helps teens self-monitor their emotional well-being while providing their parents with insight and early warnings. Menlo Park, CA, February 23, 2018 --(PR.com)-- As the stress of the news from Stoneman Douglas High School mounts, teens are crying out for solutions that can help prevent these tragedies. K’Bro is an app designed to do just that. Kids share their thoughts and emotions while getting advice on how to deal with the challenges they face. Designed as a game, the app anonymously captures data about a child’s emotional state providing him or her with an “Am I OK?” index to inform and guide the child. The daily index score from the app lets kids not only monitor their own emotional well-being but also see their improvements. If the parent is also a subscriber – which is at the discretion of the child, the parents receive the daily index score, alerting them if there is cause for concern. K’Bro leverages deep-learning technology with semantic search and natural language analysis of emotions expressed throughout the app experience. Actual comments by the kids always remain private, protecting their privacy and willingness to share. K’Bro is free to kids so they can gauge firsthand whether or not they are doing OK and can build emotional resilience independently. Parents can choose to subscribe to K’Bro to receive weekly updates and alerts with conversation starter tips provided by the app. The cost of the app is $4.95 per month. For the cost of a latte parents and guardians can bridge the communication gap with their kids. Dr. Kevin Fleming, Founder of Grey Matters International, a neuroscience-based technology, consulting and advising firm for individuals and their families, says, "We live in an extremist culture---protecting kids from natural learnings needed to grow neural networks vs allowing them to disconnect from the environment completely via their technology addictions. But K'Bro 'gets it right' between parents and kids, allowing the critical conversations to happen with ease. Bravo!" Suicide is one of the leading causes of death in the U.S., with boys ages 10 to 14 showing the 2nd highest increase in suicide rates. School shootings show no signs of abating when warning signs are missed. K’Bro can help provide early indicators that something is not quite right, facilitating parental engagement and other interventions. YouROK Corp., (www.yourokapps.com) based in Menlo Park, California, was developed by Patrina Mack, a product development expert and mother of a teenage boy, with industry leading AI experts. The app K’Bro (www.kbro.io) is a tool to give kids, and their parents, the ability to recognize when an intervention is needed by a trusted peer, parent or therapist. As the child plays the “Am I OK?” game or uses other evidence-based features in the app, K’Bro anonymously captures data about a child’s emotional state that informs the “Am I OK?” index. K’Bro uses artificial intelligence to analyze when a child’s behavior is worrisome - and when it’s not. Parents can choose to subscribe to K’Bro to receive weekly updates by category (school, family, social life and other stuff) and alerts with conversation starter tips while actual comments by kids remain private, protecting their privacy and willingness to share. 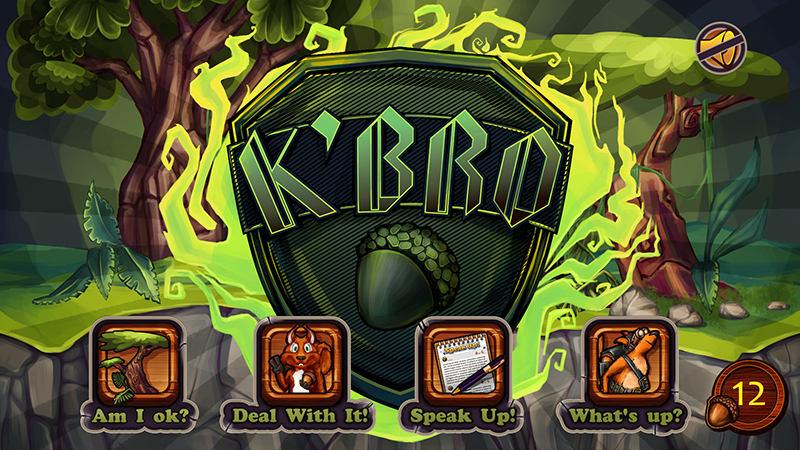 K’Bro is free to kids so they will know for themselves if they’re doing OK and use the many features within K’Bro to build emotional resilience on their own. To learn more, visit our websites K’Bro for kids and YouROK for parents or follow us on social media: Facebook for Kids (https://www.facebook.com/kbro.io/), Facebook for Parents (https://www.facebook.com/YouROKcorp/), Instagram (https://www.instagram.com/kbroapp/), or Twitter (https://twitter.com/search?q=kbrohappyapp). Click here to view the list of recent Press Releases from YouROK Corp.